Theresa Dionne is a proud 2009 UW-Stevens Point graduate with an MA in Communication. 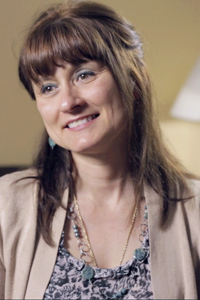 Theresa currently lives in Dallas, Texas and employed as patient experience consultant at Methodist Health System. In this role she offers coaching and professional development to all health care employees in both the clinical and administrative settings. In addition, Theresa is passionate about health and exercise. These positive behaviors serve as her social and physical well-being outlet. As she strongly believes that exercising, especially with friends and family members, is a productive way to spend time. Theresa grew up in New Hampshire, has lived all over the United States and in Russia. She welcomes new challenges and appreciates the different perspectives that all people bring into her life. Her personal time is spent hiking, travel and cooking with family and friends.